Well, this has been a hell of a week, and I haven’t had the energy or emotional fortitude to do pretty much anything other than play Destiny 2. Yesterday was my birthday, which was as uneventful a day as I could hope for in this garbage year. I drank a bottle of cheap wine. It helped, a little. The good news is that I’m feeling better, enough so that my lack of productivity today was part of a purposeful day of recharging rather than another day of devastatingly crippling depression and anxiety and shame-spiraling. I’m not making promises about the coming week, as I’m just gonna take things one day at a time for a little while, but I will say that I’ve got a to-do list ready for tomorrow and I’m going to get a good night’s rest tonight, so I’m cautiously optimistic. While I wish all of us were having an easier year and better times to look forward to ahead, it’s also somewhat comforting to know that I’m not the only one struggling, as this John Scalzi post on 2017, Word Counts and Writing Process from earlier this week reminded me. Equally reassuring was Kameron Hurley’s post on keeping on keeping on. The Ripped Bodice published a report on The State of Racial Diversity in Romance Publishing. Predictably, it’s not great. Do better, romance publishing industry. 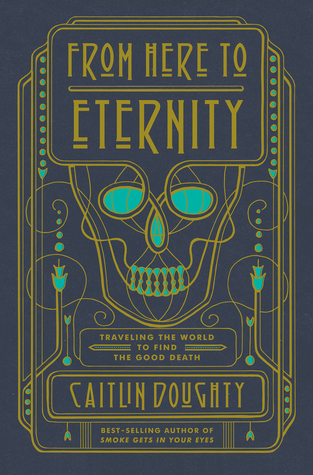 I haven’t gotten to dig into Caitlin Doughty’s new book, From Here to Eternity: Traveling the World to Find the Good Death, yet, but I did dig her interview at The Hairpin. Kat Howard shared her Big Idea for An Unkindness of Magicians. The Murders of Molly Southbourne author Tade Thompson was interviewed at The Illustrated Page. Jeanette Ng, whose new novel, Under the Pendulum Sun, I’m currently reading and enjoying, wrote about Moon Festival at the Angry Robot Blog. The Tiger’s Daughter author K. Arsenault Rivera wrote about Personal Failures in Fiction for the Tor/Forge Blog. Sarah Gailey watched Blade Runner for the first time. LitHub collected a bunch of very creepy book covers to kick off Halloween month. Lee Foster wrote about loving horror while living with disability. Mari Ness finally got around to talking about one of my favorite fairy tales, Diamonds and Toads. There’s a new A. Merc Rustad story in Lightspeed: “Longing for Stars Once Lost” and an accompanying Author Spotlight.